Standing on top of an Earthship in the New Mexico desert watching the sunset turn the mountains a deep red, makes you realise how boring conventional housing is. 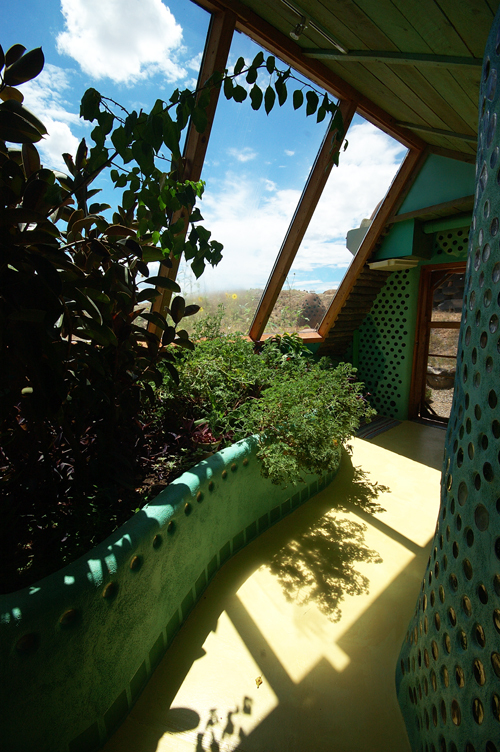 Earthships are a highly inventive and unusual house design by Mike Reynolds who spent years experimenting in the New Mexico deserts. There are now hundreds of examples worldwide but I wanted to come to the place of their inception to try and understand their possibilities and questions around affordability. An Earthship is an autonomous building made from car tyres filled with waste (such as drinks cans and bottles) to produce highly insulating walls. 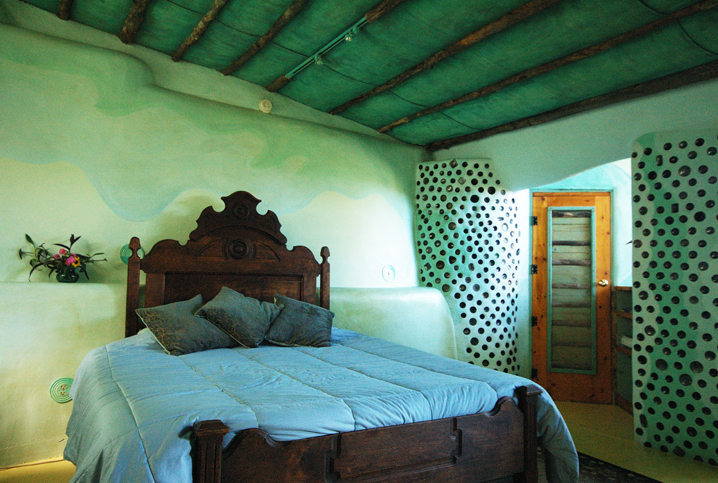 The Earthship has been replicated in the UK (Fife and Brighton), Holland, France, South Africa and India. There are now 3,000 Earthships globally. The design, often built into the ground, not only uses recycled and natural materials, but by using passive solar heating (and cooling), water harvesting, contained sewage treatment, and internal food production (through conservatories), creates a self-sustaining building with a stable ambient temperature even in climatic extremes. Built to be cheap, efficient and autonomous, Earthships represent radical ecological architecture designed to reshape our relation to the environment and our daily lifestyles. There is a great sense of freedom from knowing that a house has everything you need to survive without needing to be connected to anything else. All the systems are holistic and autonomous. Standing on the roof I am next to the water cistern which collects the rainwater, and overlooking the PV panels and solar thermal hot water heater. Moreover all resources are used as efficiently as possible, for example, rainwater is used three times – for drinking, to flush the toilet and then to water plants. Having stayed in one at the height of summer I can also confidently confirm that it works – nice and cool during the day, warm at night and not too dark inside. Such autonomy also enables the resident to more clearly understand how houses work – if you are not careful you will use up all your water – and thus, potentially, how to look after and fix it. 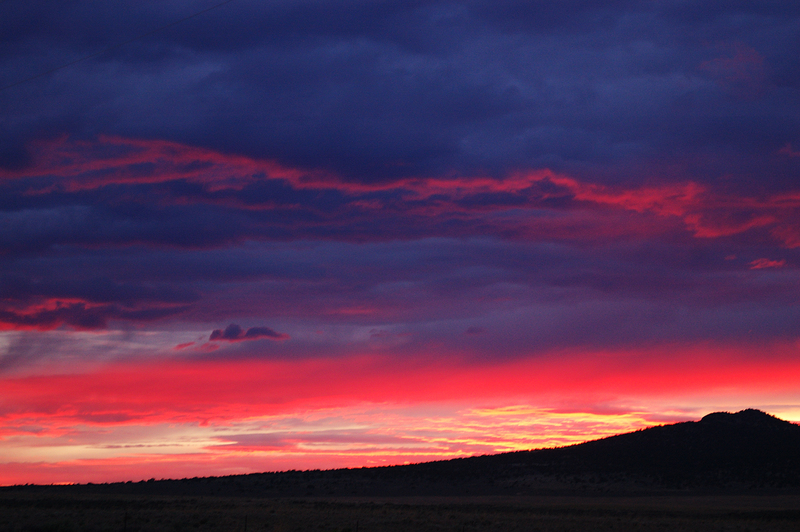 By watching the sunset you also realise that Earthships enable a landscape without wires. Look out of your door – do you see wires? Most houses are linked by electricity and telephone cables criss-crossing the landscape, but here there is only sky: huge big open skies. It is a liberating view compared to most outlooks from houses. In New Mexico all you can really see of the houses are the windows reflecting the sunlight. It is a very calming view. Earthships are more than simply highly integrated autonomous houses, they are amongst the most radical and inventive green buildings I have seen. So inventive that new systems, such as water and power management systems, have been designed specifically for them. But they do have an unusual aesthetic, they do not look anything like a house as conventionally understood – buried in the ground, glass wall to the south, curved walls inside, and glass bottle walls. This of course potentially limits wider adoption. Personally I find them rather beautiful buildings to look at, but then I already love eco-houses and all things quirky. Replication is not only limited by how they look however, but also by their requirement for manual management (such as opening vents and closing blinds) which in an age of ‘on demand’ heating and air conditioning puts some people off. The houses were designed to be highly replicable, and Reynolds has gone to great effort to build demonstration houses around the world and to create plans and ‘off-the-peg’ designs which can be purchased and followed. The use of the metaphor of the ‘ship’ in its name also signifies that such designs should be replicated elsewhere (that the ideas should travel, they were designed to run without fuel, use rubbish and thus locate anywhere); that these ships should be part of a broader network (that we should exchange and develop these ideas); that ideas need freedom to enable experimentation and radical innovation (the ship as autonomous and free from regulations); and, finally, that they will “sail on the seas of tomorrow” (Reynolds, quoted in Paschich and Hendricks, 1995, 73) (and thus continue to travel into the future). Yet this replication has not happened in the way that might have been imagined. The design is robust, tested and cheap and yet few Earthships exist. In addition to how they look and what it is like to live in them, they are not the easiest to build – they require time and effort (and strength and perseverance) in a way that brick houses do not. 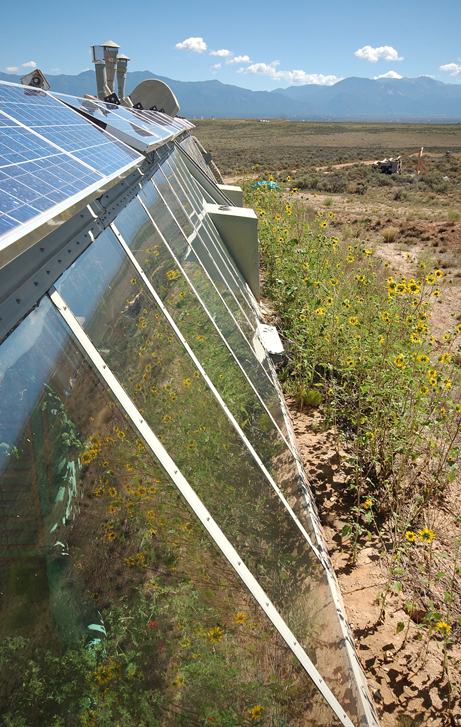 Finally, they are not appropriate for all places, they have been developed to work best in the climate of New Mexico and as the Brighton Earthship has shown, if changes are not made to the design when built in other climates then they do not work as well (in Brighton the floor is rather cold). This could be overcome, but only with further experimentation and the freedom to adapt Reynolds designs. Earthships can be built expensively or cheaply, it all depends on choices made by the builder. They are designed to be extremely low-cost to run, but to make the actual build cost lower then there is a need for self-build (using your own labour, also called ‘sweaty equity’), build on cheap land (hence the growth of such houses in the deserts of New Mexico), use waste materials (there are some plans for Earthships using concrete), ignore building codes, and keep the design simple and small scale (thus ‘designing down’ the house so that you need less electricity in everyday running). Reynolds argues that “just as the sun allows no darkness, the lake allows no dryness, the wind allows no calm, the river no silence … the Earthship allows no poverty” (1993). However, some have complained at the high cost of the step-by-step designs to build an Earthship. 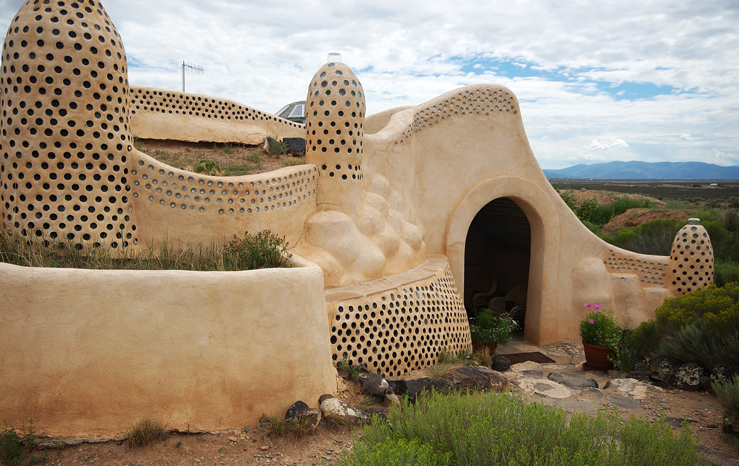 There are many lessons to be learnt from Earthships which could be, and should be, applied to eco-housing elsewhere. It is a bold design that works: the result of years of practical experimentation and radical innovation. Whether it is about their autonomy, low cost, low visual impact, self-build nature, or the way in which every resource is carefully harvested and used multiple times, we need to understand and learn from Earthships. The strongest memory for me is of sitting on the roof watching the sunset knowing that I would be warm and cosy that night, that there was amble water and heat for a shower, and that the environmental cost of all that comfort was minimal. It was a guilt free sunset. There is a Visitors Centre at the Earthships near Taos (#2 Earthship Way Taos NM 87571) which is open 10am to 4 pm, 7 days a week. 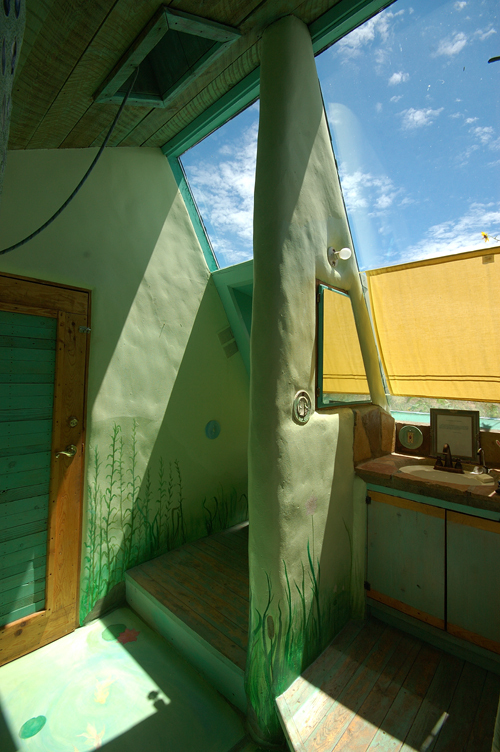 Freney, M (2009) Earthships: Sustainable housing alternative. International Journal of Sustainable Design, 1, 2, 223-240. Hodge, O (2008) Garbage Warrior (Film). A Co Production of Open Eye Media UK, ITVS International & Sundance Channel. Kemp, S and Cowie, P (2004) The Earthship Toolkit: Your Guide to Building a Zero Waste, Zero Energy Future. Sustainable Communities Initiatives, Kinghorn. Paschich, E and Hendricks, P (1995) The Tire House Book. Sunstone Press, New Mexico. Reynolds, M (2000) Comfort in any climate. 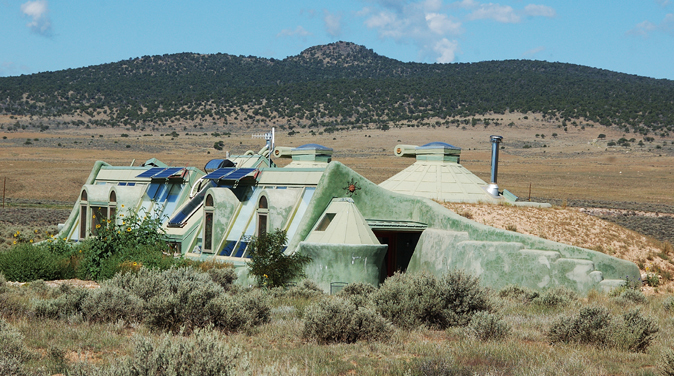 Solar Survival Architecture, Taos, NM. Reynolds, M (2005) Water from the sky. Solar Survival Print, Taos, NM. What an awesome post…my son is heading over to Texas soon (from Australia) and will be attending the 65th Roswell shindig and may have enough time on his hands to head up the extra 280 odd miles to visit. Who knows… he might even take a left turn at Alburquerque and meet Daffy Duck and Bugs Bunny! 😉 Seriously though, this was a really amazing post and my son is looking at building a very similar structure over here in Australia. Cheers for the info. A building which is made from car tyres, drink canes and bottles. Now this is something extraordinary. 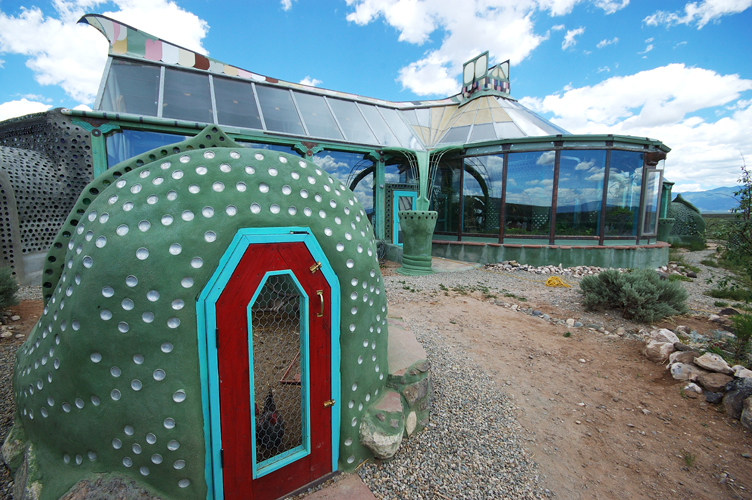 I have dine a ton of research on Earthships and it seems awesome! I plan to intern with them next December! I have done a ton of research on Earthships and it seems awesome! I plan to intern with them next December! These are so unique! It would be so cool to live in one of these earthships. Thanks for sharing! It is really good written and explained well about its title . I am a nature lover and this is so much informative to me . I heard so much about modular buildings and i think it is a good way for construction.